Toothpaste. Such a necessity. Well, after Kyle and I ran out of American toothpaste we went to the store to buy some more. The first one we bought was the green tube…probably peppermint, right? Nope. It’s green tea flavored. So, we tried again. 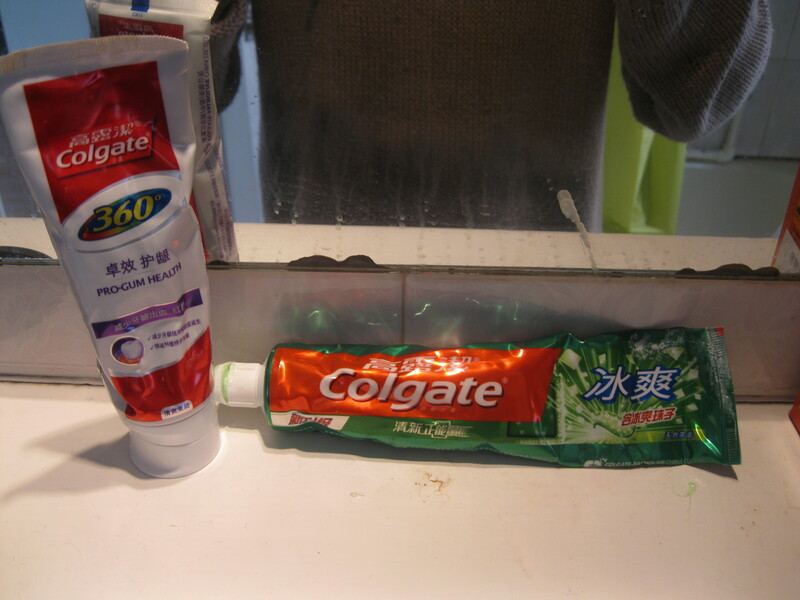 The second tube….maybe a white toothpaste? Wrong again. Lavender flavored. I’m looking at it positively: lavender is supposed to help with sleep so it’s the night toothpaste. And green tea usually has a little caffeine in it, so it is the morning toothpaste.